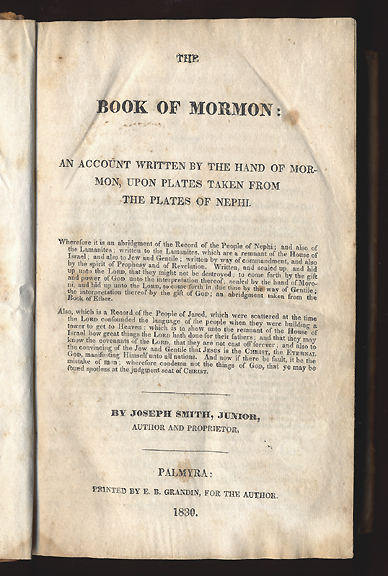 The Book of Mormon was first published on this date in 1830. We posted on Trey Parker and Matt Stone’s new musical, The Book of Mormon, yesterday. You can watch their South Park episode, “All About Mormons,” here. This entry was posted in Anniversaries, Irony, Post-modernism, Religion on March 26, 2011 by Michael Happy.